Yes, just remember that, Rosemary ~ tomorrow is another day! Take it easy on yourself! You take lovely photos...and I love the blue glass with the purple lilacs! Oh how I wish I could smell them! Praying for you sweet Rosemary! Rest well!! 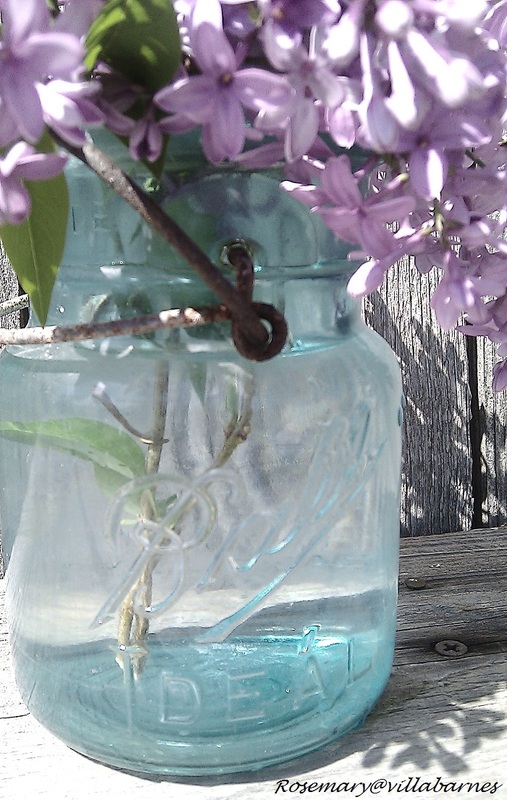 The smell of fresh lilacs are so amazing! Take a deep breath - everything will fall right into place just as it should. I feel your pain. Sleep good and wake refreshed. Take one thing at a time...try not to look at the big picture or it may send you over the edge. I'm saying a little prayer. Hope things settle down and your lilacs are absolutely amazing. Across so many thousands of miles, it calms me down as well. 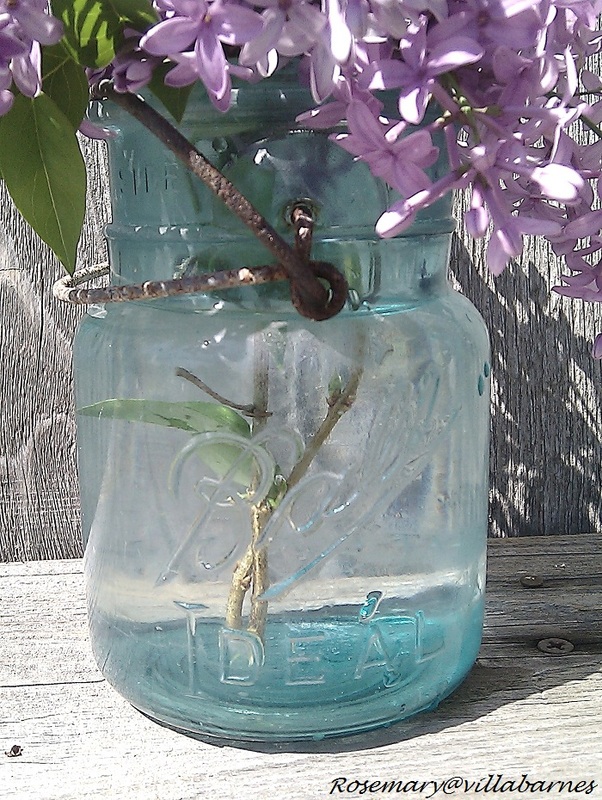 Blue mason jars and lilacs are the perfect combo! Wishing you rest, peace and strength during this busy time. Love your lilacs, take care of yourself! I hope you got some rest. Love the photos....take some serenity for yourself! 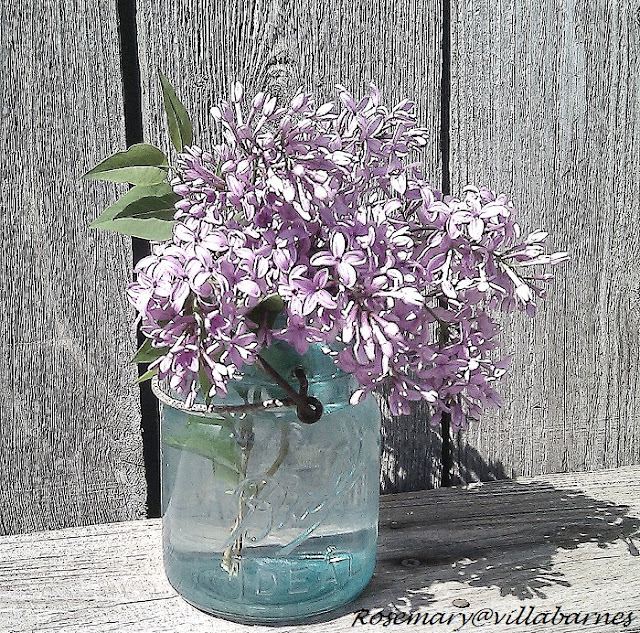 Your lilac photos have made my day! Just breathe...you'll get everything done! Oh I love lilacs too. We had some at our old house and really need to plant some here. I bet those lilacs smell heavenly. Please take care of yourself Rosemary...nothing is more important than YOU! That is the saying as I think it should be...... stop and smell the lilacs. Lovely photos.The scent of beautiful flowers always calm me.Hoping you are well rested.See you soon my friend. I have never been able to figure out how you do so much. Take care! 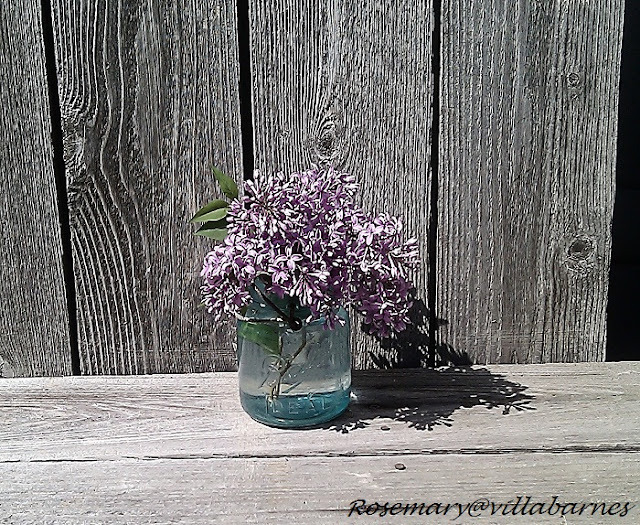 Rosemary - take a moment to stop and smell the lilacs... we don't want you to burn out. love, love, LOVE your blog and ideas. Many of which I have stolen to use in my own home. Looking forward to many new ideas and projects from you in the future. You know you're still fine if you can stop and 'smell the roses'. Or lilacs. That's one of the most important things in life. The strength of your spirit is just amazing, Rose! Yes, definitely take a breath and take some time to recharge. You do amazing work and I want to thank you for all of the inspiration that you offer to us. I have been reading and re-reading several of your past posts and I came away with lots of ideas for future projects. I especially love your old world finish technique with gesso. Brilliant! I gave it a try on some old frames and a plastic Infant of Prague figure. I loved the results, did a post about them, and linked back to you. thanks again for a great blog!! You're amazing! Your Lilacs are lovely! Take care of you too! It will get done!